Dedicated to my interest in cross stitch and blackwork. 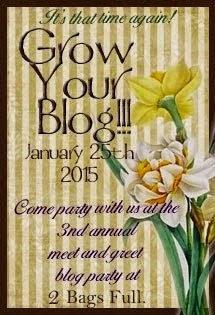 Vicki of 2 Bags Full is hosting the 3rd annual Grow Your Blog Party! I abhor having my picture taken, I'm way too critical. Okay, now that that humiliation is over with let's crack on. To meet folks like you! I live in a small village on the Canadian prairies and the blogging world is my way to connect with wonderfully talented stitchers of the world. I have recently rediscovered my love of cross stitch and am thoroughly enjoying the opportunity to meet other cross stitchers and share the passion of this art. These are just a few of my pieces from the past few months. 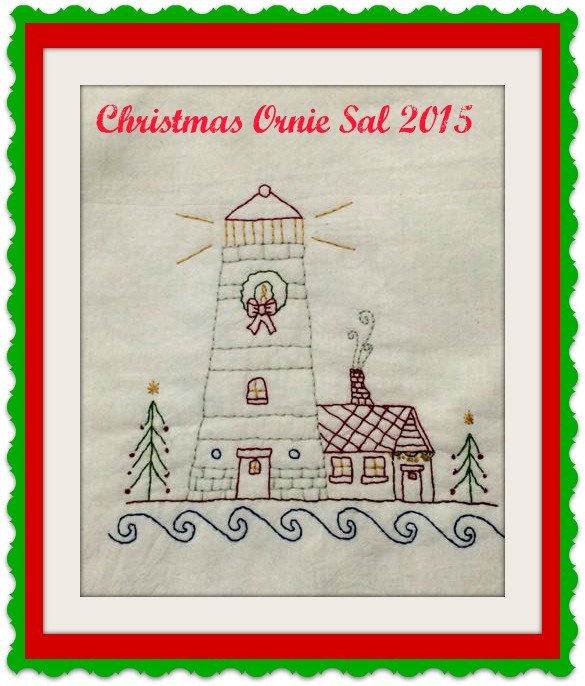 I have joined 3 SALs (Stitch A Longs) for 2015 to encourage and cheer on by fellow cross stitchers. You can check these out by clicking the buttons on my sidebar. If I reach 30 followers, through Grow Your Blog, I'll have a GIVEAWAY! (solid colours only. no fancies). Draw date February 15th, 2015, winner notified by email. I'd love for you to follow along and share the process. Hey Carolyn, howdy and hi! Your picture is very pretty and reflects some of your sense of humor. (I think you look a little mischievous... As fits a momma who wants to fool her family with fake cookies.) I guess you can't count me since I'm already following, LOL. I'm going to keep counting on you for occasional advice with my own beginning cross stitch adventure. Became a follower today! Nice blog. I look forward to reading future posts! 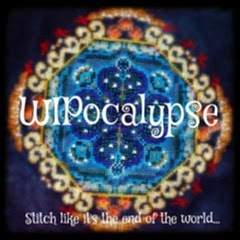 I love your stitching and blog! I am a new follower with GFC. Having just rediscovered cross stitch myself I'm glad to see you on this journey! Please don't enter me in your giveaway. I just inherited a huge stash of DMC so pass it on to someone who really needs it. :) blessings, marlene P.S. Love that Christmas tree! Nice to learn a little about you Carolyn. I am already a follower. Just found your blog and was delighted to see your recent projects. I'm a new follower. I love to cross stitch, but just started a business and haven't had much "me" time lately. Welcome to the party from Vicki and myself. 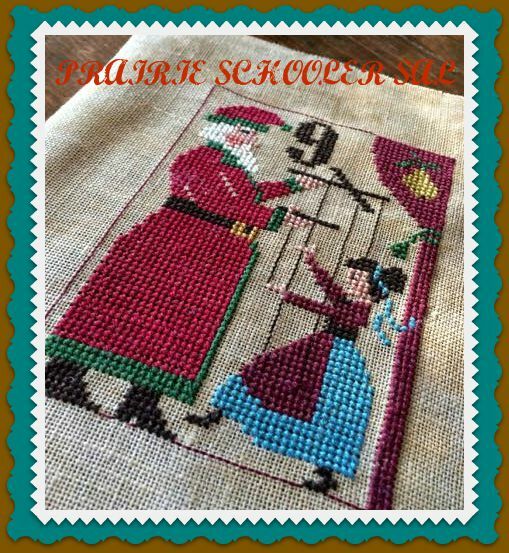 Your cross stitching is lovely and SALs are a great way to learn new stitches and meet others with similar interests. So nice to meet you and I look forward to seeing more of your stitching! Glad to see your new blog growing. Love your picture and your stitching as well. Don't be ashamed of your picture. You are beautiful! It is nice to meet new stitching friends. enjoyed your blog and have become a follower. Would love to be entered in your give a way. I am also part of Grow Your Blog, come visit. Well, you've reached the 30 so the giveaway is on! DMC is always welcome here, it's so expensive in the UK. I love that the little labels are different so I always know when I am stitching with gifted thread. Your photo looks lovely. I was in Cross Stitch Collection recently and you should have seen how many attempts it took to get a halfway decent photo. Even then, there was too much grey hair visible for my liking! Love your Grumpy Cat stitch. Hello, visiting from the GYB event! Thank you for stopping by my blog! Love your photos and your stitching! (Esp. love the Grumpy piece.) Looking forward to seeing more of your progress. Love your stitching, I'm now a follower. Thanks for the giveaway! I love the kitty project! Great post :-) Love your finishes, especially Grumpy Cat. Hi Carolyn! Visiting via GYB and your other blog. You've got a great start on this new one. Good luck collecting followers!!! Hi, Carolyn! Visiting via GYB. It's the first time I've participated and love visiting all the various blogs. Looks like you broke the magic "30" followers. You Go, Girl! Those are some lovely finishes! Don't enter me in the drawing, wouldn't be fair as DMC is not expensive here. Will become a follower though! 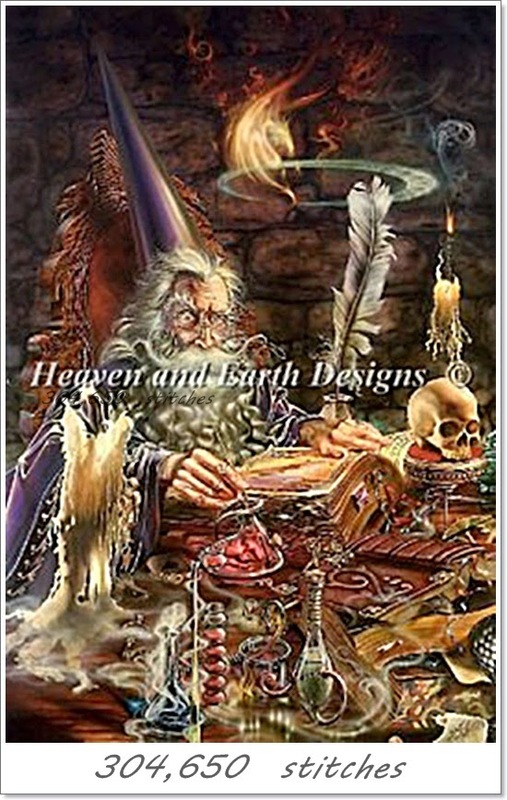 Just getting back into cross stitch again so I am looking for some inspiration. I like the pieces you have done and look forward to following you. HI, I'm a textile artist, visiting, via GYB, from NL . Enjoyed my visit to your blog . Nice stitching. Your ornaments are very pretty!! Your work is lovely! I look forward to following your progress on Bloglovin'.